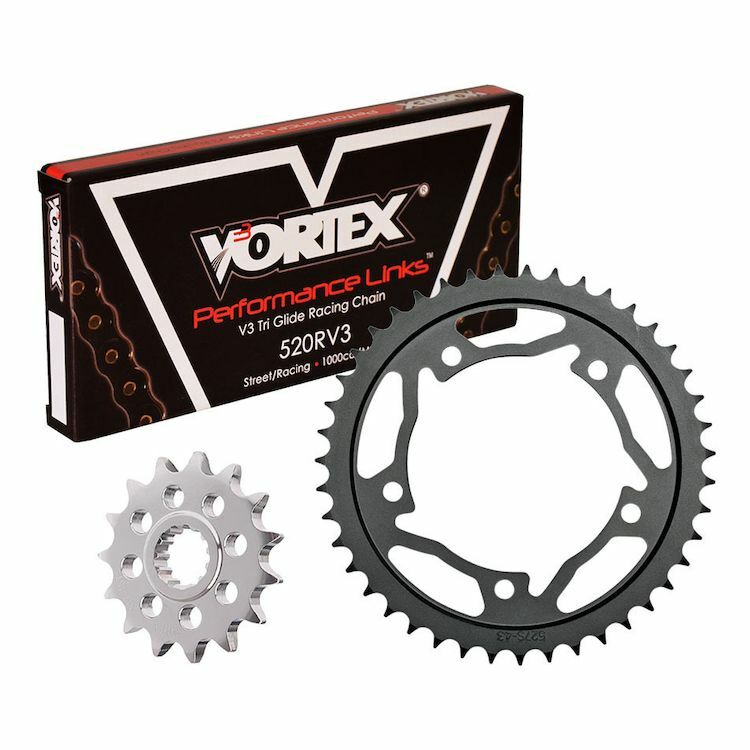 Vortex V3 Chain And Sprocket Kits include everything you need out of the box to do a 520 chain and sprocket conversion. Each kit is mated to a specific bike to increase acceleration and reduce rotating mass. Note: Image for reference only. Actual Vortex Kits may vary slightly depending on your make and model.